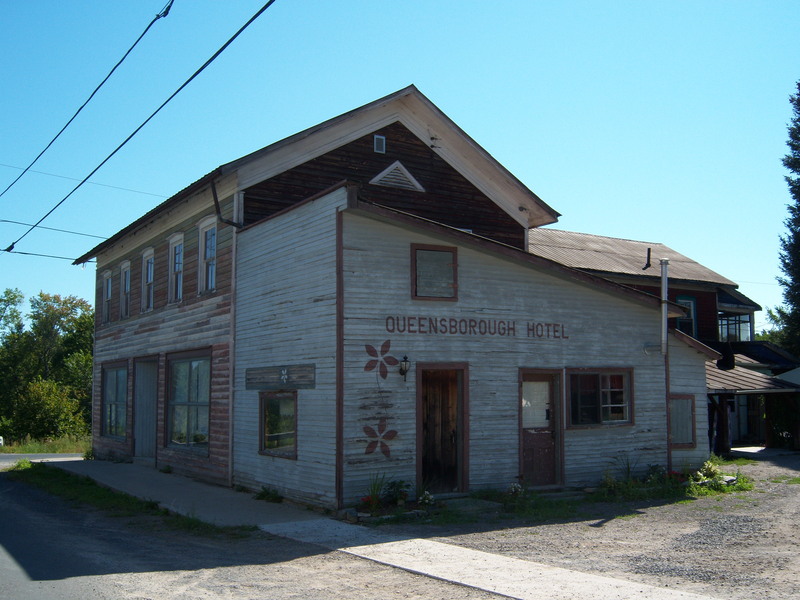 The region that is now Queensborough began as a small Ojibwa village. In the 1830’s Miles Riggs, seeking new opportunities, thought the Native site would be perfect to supply waterpower for his sawmill, and shortly after a flourmill. In about 1850 Daniel Thompson bought the flourmill and renamed the settlement Queensborough. Settlers rapidly increased and by 1954 the village boasted 14 streets and 231 lots. Sir John A. McDonald, Canada’s first Prime Minister, actually owned 11 of these lots. About a century ago, Queensborough had become a vibrant community. It had a population of over 300 with a bustling business center: four general stores, bakery, cheese factory, two tailors, shoemaker, five blacksmiths, two doctors, two hotels, a carriage maker and a sawmill, grist mill and a flour mill. The village was centered around an astonishing four churches. In 1903, when the Bay of Quinte Railway extended its line through Queensborough, it opened the possibilities of mining. From 1903-1935 the small town prospered with several mines that extracted gold, silver, iron and copper. In 1935 the decision to close the railway line lead to the closure of the mines. Queensborough is known as a white water paddling destination and participates in the Annual Marmora and Area Canoe and Kayak Festival (MAKfest). 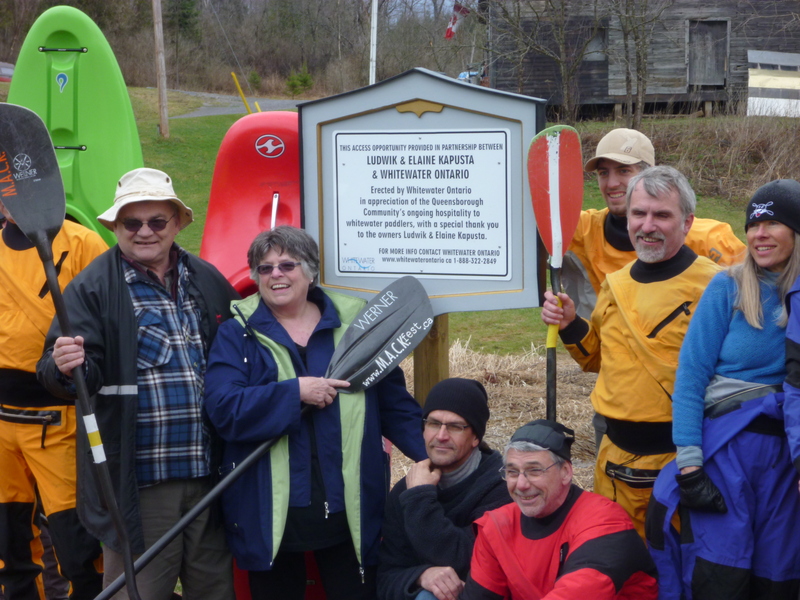 The hamlet was recently awarded a plaque by Whitewater Ontario for their ongoing and outstanding support and hospitality for those who kayak through the area. Locals offer their own land along the Black River to allow kayakers access to land, as well as serve baked goods to paddlers who are passing through. The Old Schoolhouse of Queensborough has been restored as a Community Centre that hosts dances, dinners, summer drop in programs for youth, and much more. For more information about Queensborough and current events please visit queensboroughcommunitycentre.com orqueensborough.ca(new website as of August, 2012).